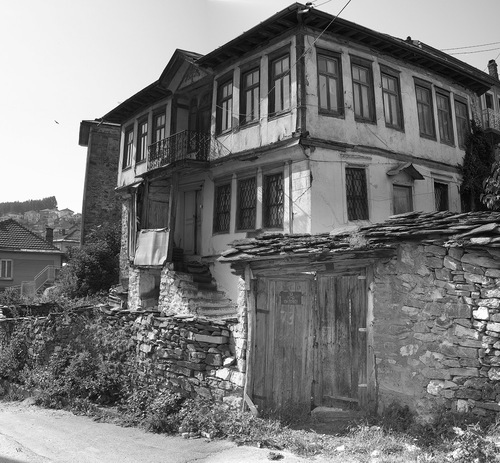 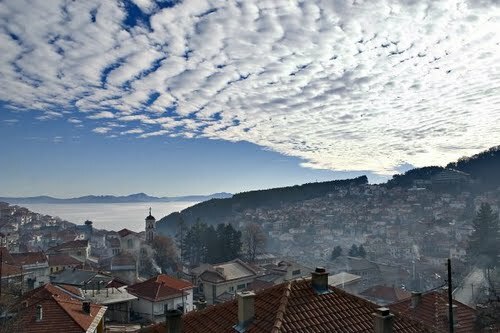 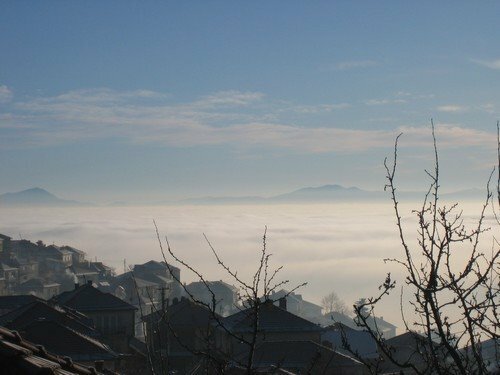 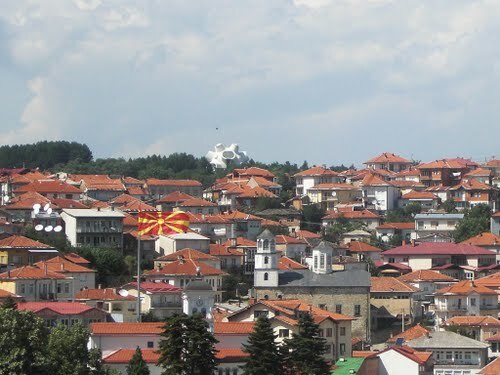 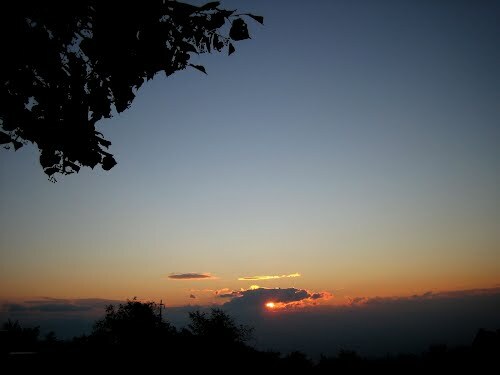 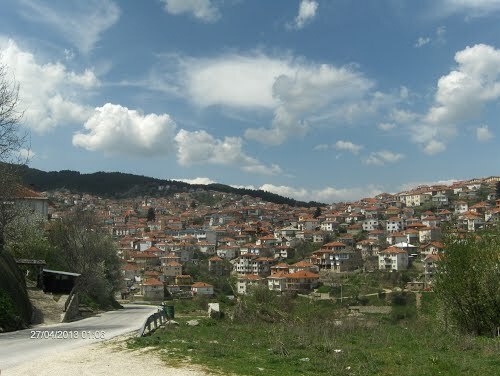 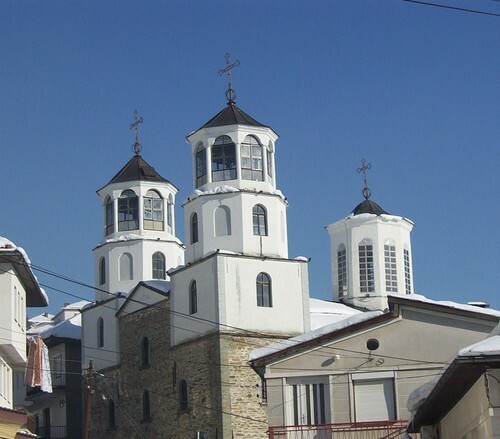 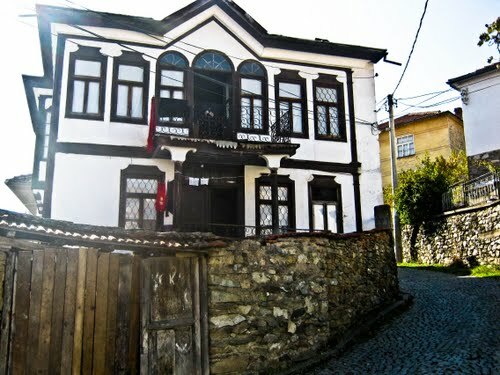 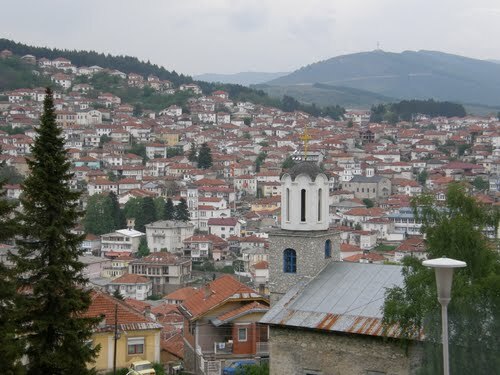 As the city was started from scratch, the Vlachs were willing to invest and the Mijaks were excellent builders, in Krusevo a very interesting architecture has developed. 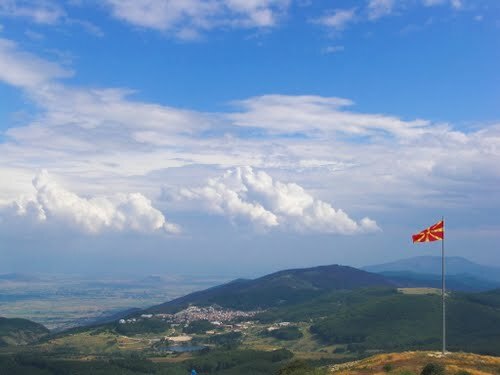 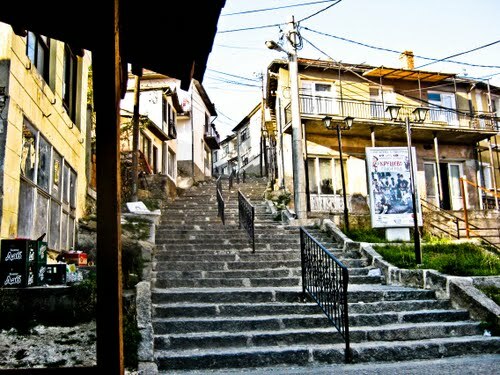 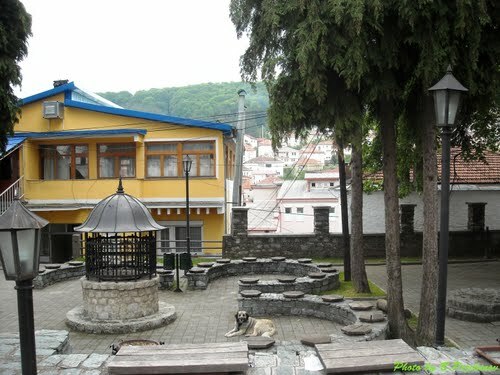 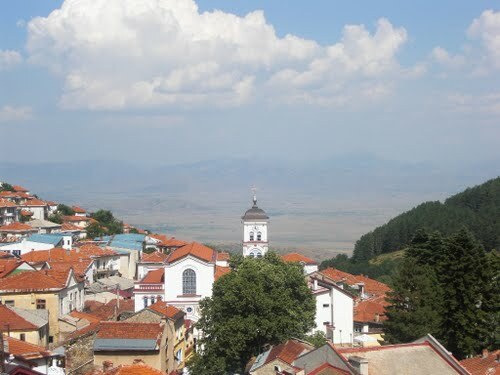 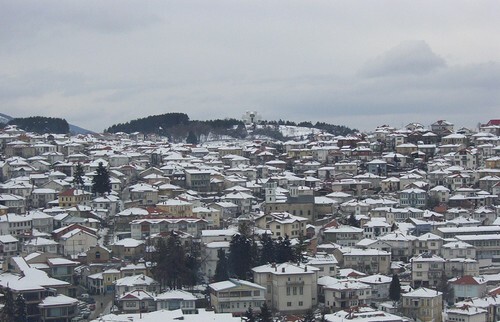 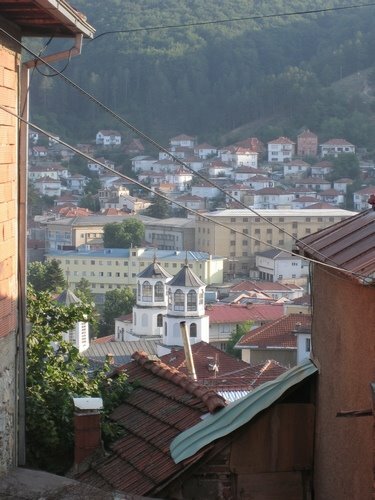 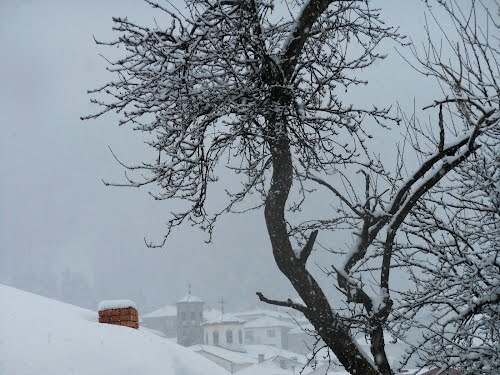 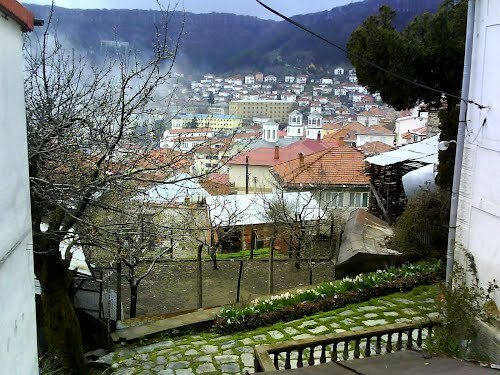 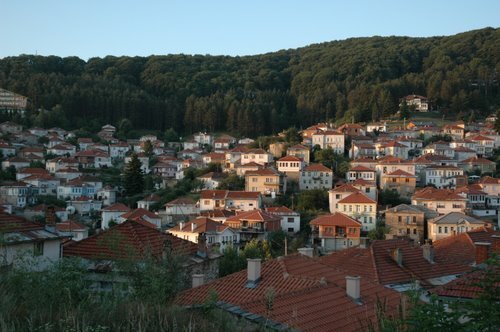 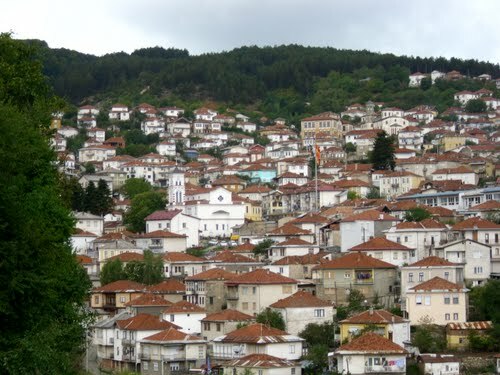 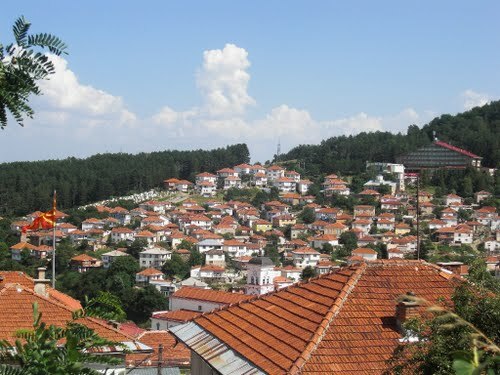 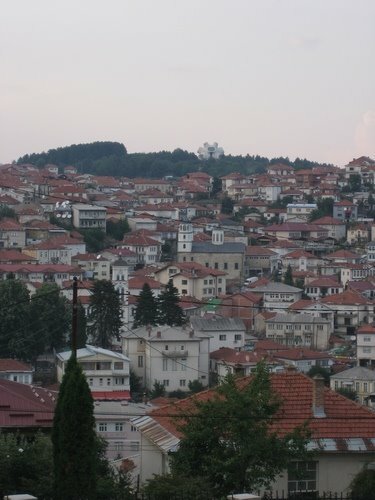 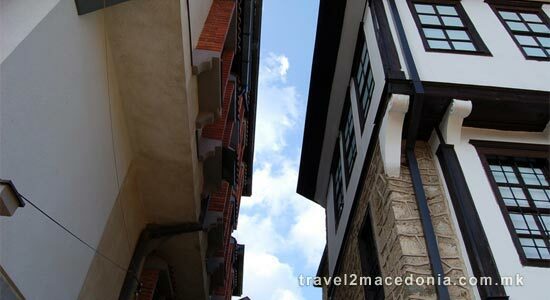 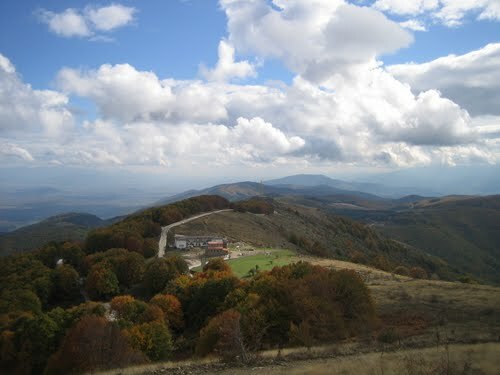 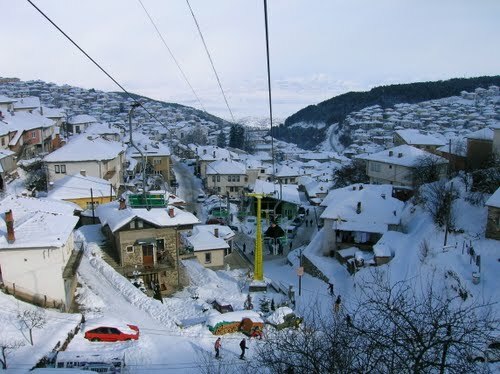 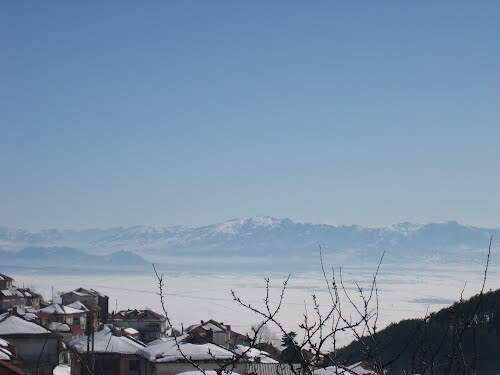 The houses are freestanding, mostly symmetrical, without open spaces typical for other towns in Macedonia. 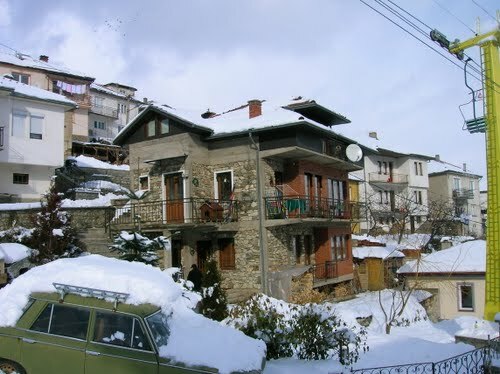 The back of the houses are built of stone, while the front of socalled bondruk construction of wooden columns and beams covered with white plaster. 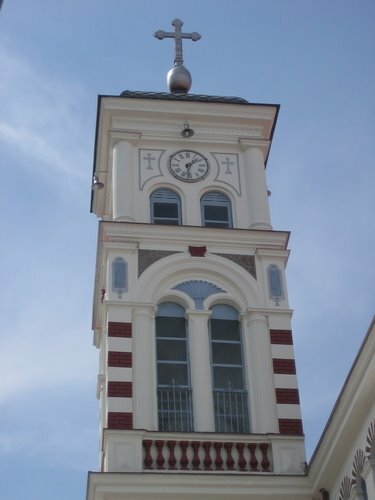 There is almost always a well in the ground floor. 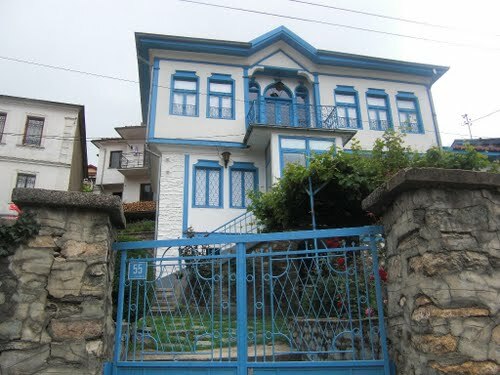 On the main facade usually there are painted decorations in blue colour. 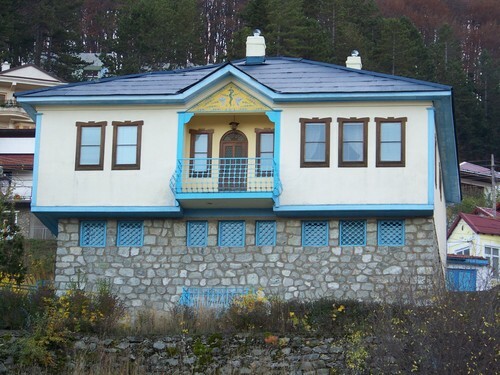 Blue is also usually used for the window frames and other details of the facades. 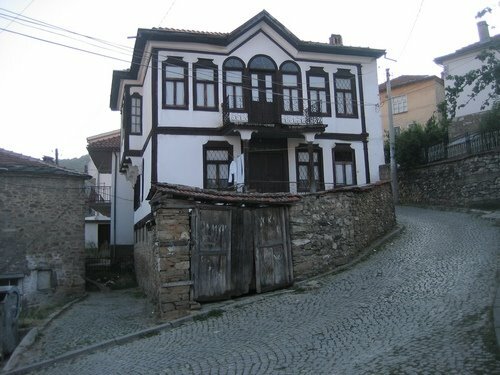 On the upper floor there usually is a small balcony with a triangular pediment above it to put accent on the symmetry of the house.